Mood Cow Dashboard is an evidence-based proactive risk management tool for consumers and primary care providers, powered by patent-pending innovations. 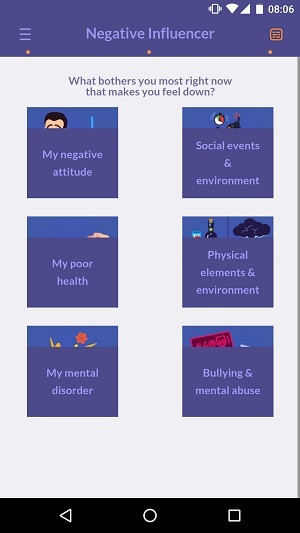 Mood Cow Dashboard is the first and only system that captures and visualizes risk and protective factors for mental well-being at an individual level and a population level. Mood Cow Dashboard is a three-in-one mobile tool. 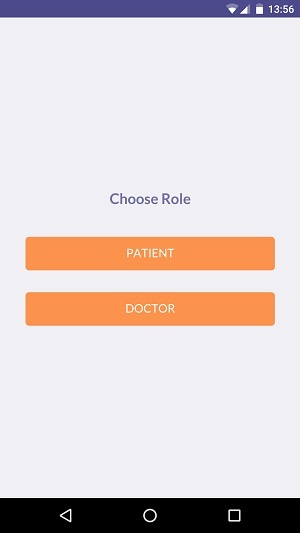 Visual communication tool: Mood Cow Dashboard saves time and avoids misunderstanding between consumers and primary care providers. 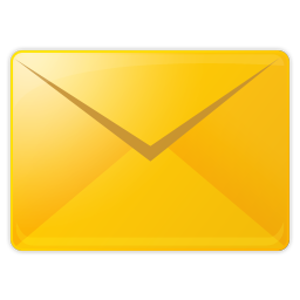 It can transfer visual data to another mobile device securely and privately without network connectivity. Visual monitoring tool: Mood Cow Dashboard uncovers tacit information and provides visual insights to how you cope with stressors. Population health analytics tool: Mood Cow Dashboard enables statistical analysis by generating structured data for individuals and populations. Everyone has good days and bad days. Just like skin care and dental care, a simple preventive routine should help you manage stressful events and situations before things get worse. 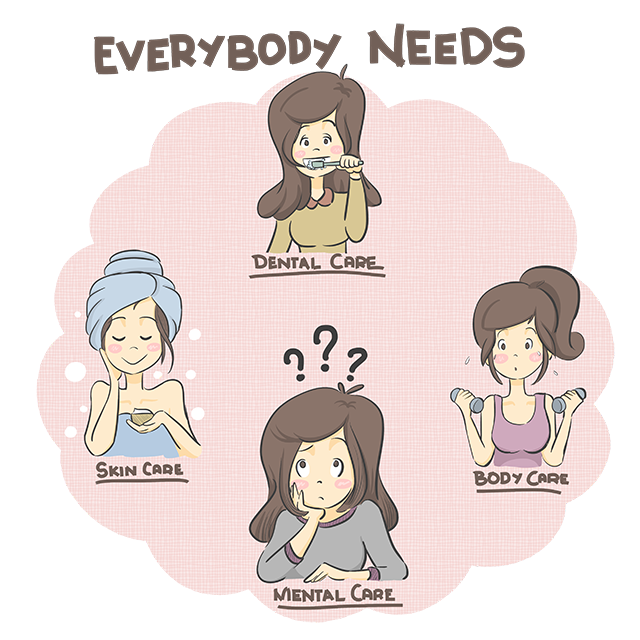 But it's not that simple for mental care. Each of us faces different challenges in life, and there is no single routine that works for everyone. That's why you need Mood Cow Dashboard in your pocket. Mental care is a process. You may be doing something already to manage your stress to feel better, but if you keep doing the same thing without monitoring and making adjustment, your wellness may not improve. Being aware of your risk and protective factors, and how they are affecting your emotional balance is important. That's where Mood Cow Dashboard helps you. Mood Cow Dashboard visually identifies your emotional balance and how things, events, and situations are affecting you both positively and negatively. This visual aid helps you become aware, and enables you to find what actions actually work for you to cope with particular stressors that are making you feel down. 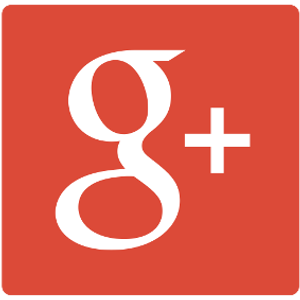 Regular doctor checkups are an important part of your wellness. But doctors don't have much time, and neither do you. So the checkups tend to focus on your physical health, not so much on mental health. This is unfortunate because not catching early signs of emotional distress and risk factors could make things worse later on for your physical, social, and mental well-being. Mood Cow Dashboard solves this problem by functioning as a quick visual communication tool. 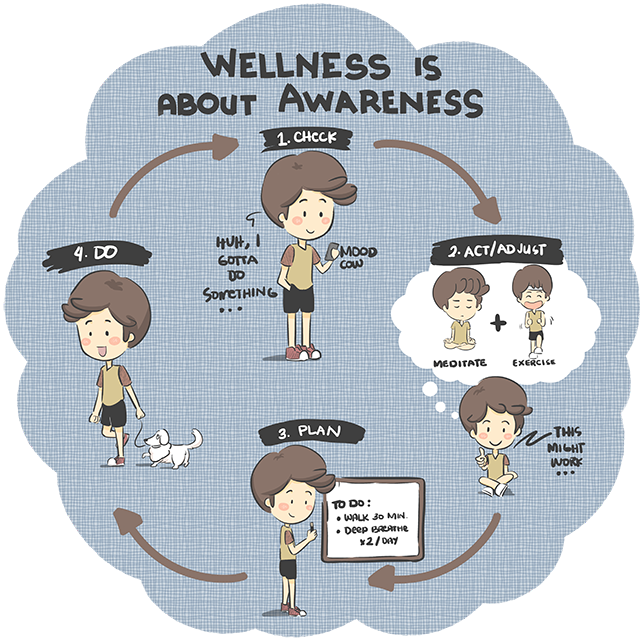 First, it converts your wellness data into a unique visual symbol, called QR code. 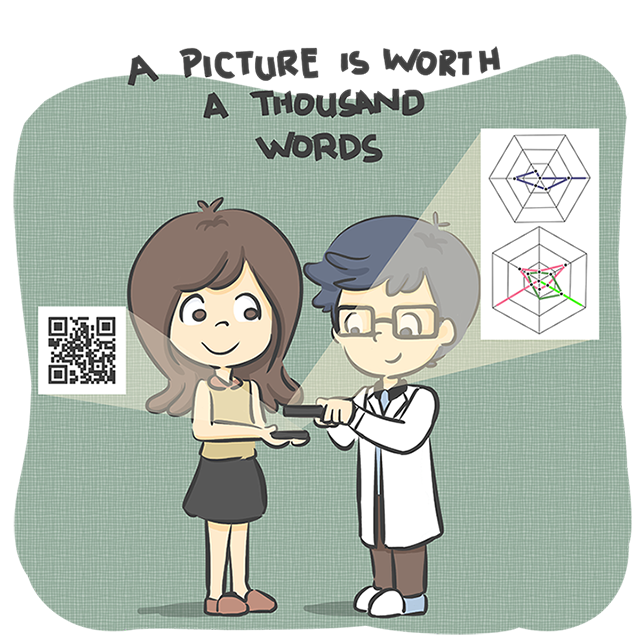 Second, you bring the QR code to your next doctor visit. Your doctor then uses her/his Mood Cow Dashboard with a special passcode to scan the QR and examine your wellness data. No one else can read your data without Mood Cow and the passcode. A picture is worth a thousand words. It would take hours of conversation to get a detailed insight to your emotional balance and risk factors. With Mood Cow Dashboard, it takes only a few seconds. By visual inspection, your doctor can quickly and accurately identify the risk and protective factors that are affecting your emotional balance, and provide you an appropriate advice that works for you. As mental health comes to the forefront of preventive care strategies for patients, the PCP will find that more attention will need to be paid to patients' mental wellness during the primary care office visits. 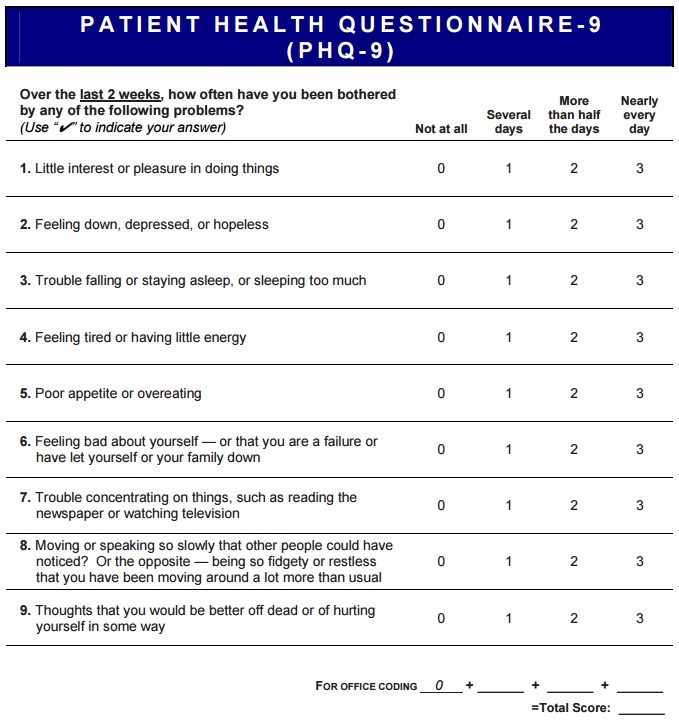 Existing assessment tools such as GAD-7 or PHQ-9 (see example image below) are designed to assess the severity of mental disorders and to provide clinical reasons to prescribe psychiatric medications. The assessment is based solely on symptoms. They do not identify risk factors or protective factors. As WHO states, "preventive interventions work by focusing on reducing risk factors and enhancing protective factors." The PCP needs a new tool like Mood Cow Dashboard to practice preventive interventions as an alternative option to drug treatment at primary care settings. 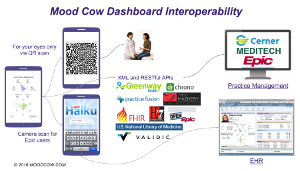 Mood Cow Dashboard can be made interoperable with electronic health records and patient management systems via image capture, XML, and RESTful APIs. How does it work? — Just 3 clicks! 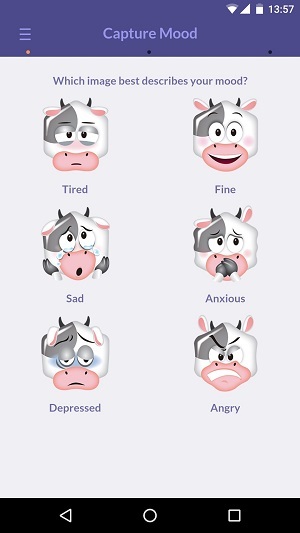 Mood Cow captures your emotional balance and influencers (a.k.a. risk and protective factors) in three clicks. Click #1 - capture current mood and energy. Click #2 - capture negative influencer (risk factor). Click #3 - capture positive influencer (protective factor). 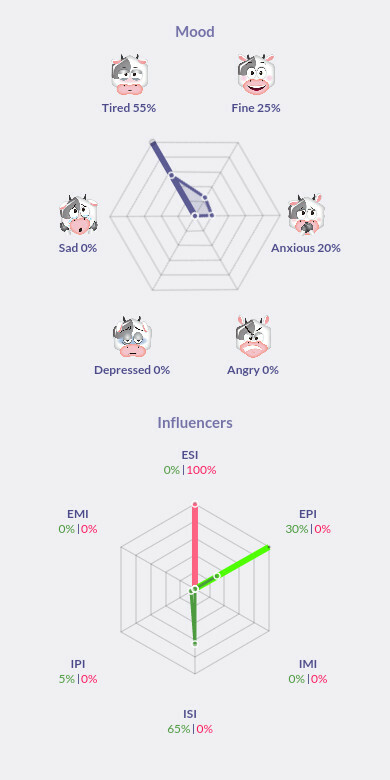 Once captured, Mood Cow visualizes your emotional balance and influencers. Ten (10) graphs are displayed in three screens. The BLUE line and shape indicate mood tendency. The RED line and shape indicate negative influencers (risk factors). The GREEN line and shape indicate positive influencers (protective factors). 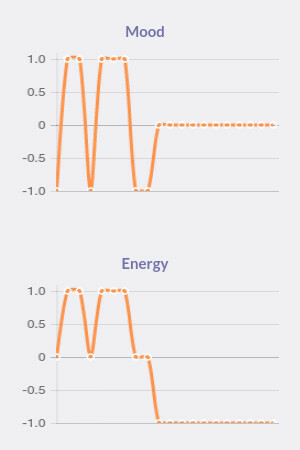 Two time series graphs show mood and energy trends in the past 20 entries. 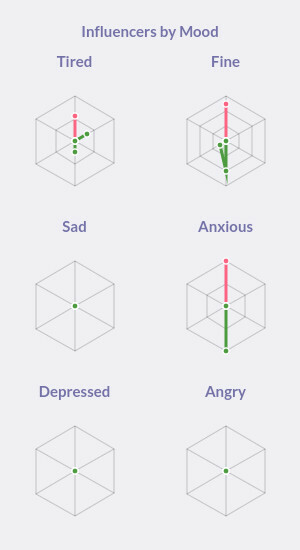 The six radar graphs show which influencers are relevant to specific mood types. 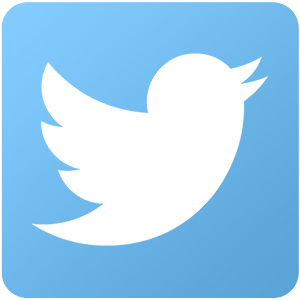 *Notes to users: The code for Doctor is available by invitation only. 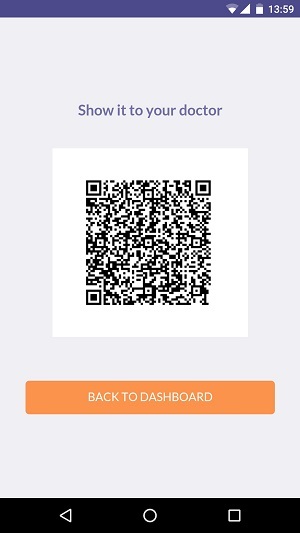 If you'd like to make use of the QR code scan feature, please contact info@moodcow.com. A field study with one hundred participants was conducted to determine the effectiveness of the Mood Cow system.